represent the wide range of the autism spectrum, from the non-verbal to the verbose; the intellectually challenged to the savant. They convey how they feel about life and living with autism with varied techniques, but the uniting factor is that art offers a vehicle to communicate where social interaction may falter. My biggest desire is to normalize autism and show people that we are not special or inspirational, we are just people. I just want to be seen as an artist and I want to be seen as someone who is competent but who has some drawbacks just like everybody else. Stop by MoFA to see the new exhibit, going on from October 10, 2014 – November 16, 2014. For more information, visit MoFA‘s website. Jim Dafoe selected this iconic US government photo for the announcement of the exhibition to honor Vietnam veterans. 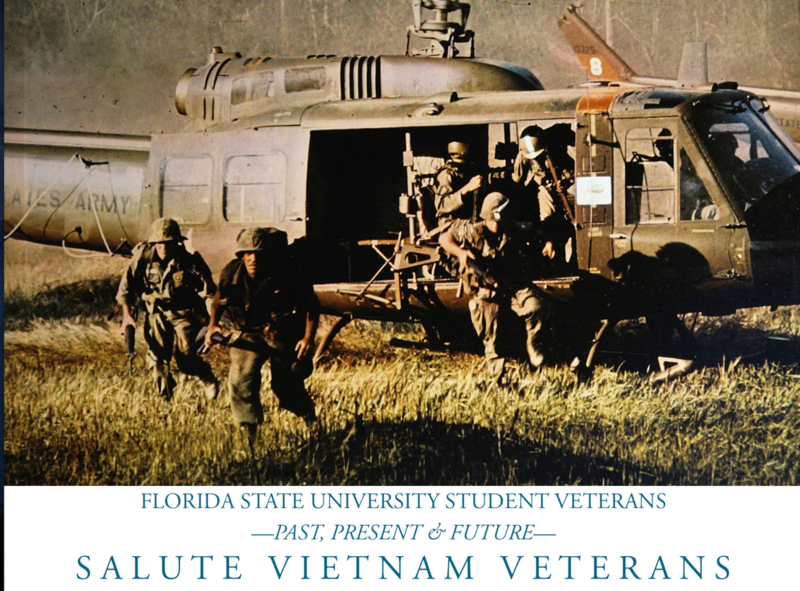 Jim and Sandy Dafoe, co-curators, worked within the Florida State University Student Veterans community to bring artifacts and artwork-tributes to MoFA. The exhibition is one of the offerings that include a symposium in late October called “A Conversation on Vietnam” and a film on Veterans Day entitled Last Days in Vietnam, a documentary directed by Rory Kennedy, who will be in attendance at Ruby Diamond Auditorium for the screening (November 11, 3pm).